Our goal is to connect people with the best local experts. 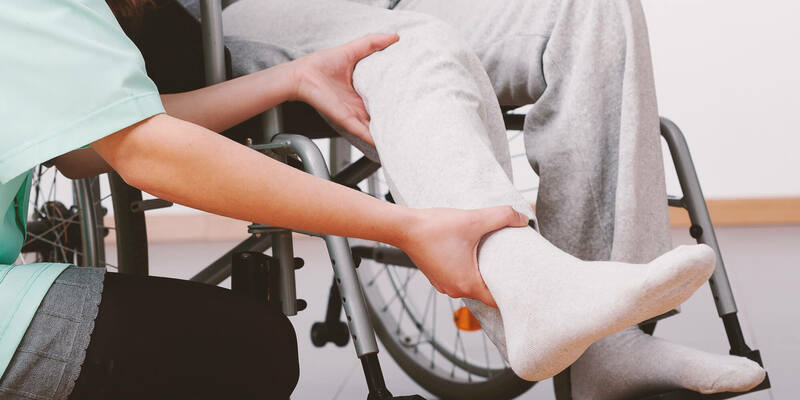 We scored personal injury lawyers on more than 25 variables across five categories, and analysed the results to give you a hand-picked list of the best personal injury lawyers in Portland, OR. Caron, Colven, Robison & Shafton P.S. is a Vancouver law firm providing legal services for personal injury law. The firm’s attorneys have over 100 years of combined legal experience and provide legal services in Vancouver, Southwest Washington, and Oregon. The firm’s practice areas include auto accidents, motorcycle accidents, trucking accidents, and wrongful death. Chad Stavley is a Portland personal injury attorney who has nearly 15 years of legal experience and opened his own private practice in 2008. He offers legal representation for a wide range of personal injury cases including car accidents, motorcycle accidents, bicycle accidents, crime victims, dangerous property, dog bites, liquor liability, medical malpractice, and defective products. Colbach Law is a Portland law firm founded by Michael Colbach. Michael has over 20 years of courtroom experience and has tried over 130 jury trials. He focuses his practice on personal injury law including bicycle crashes, motorcycle crashes, car accidents, truck accidents, and boat accidents. Michael offers his legal services on a contingency fee basis and his clients do not owe a legal fee unless he is able to recover money in a case. Dawson Law Group is a Portland law firm that was founded in 1970 by attorney Larry Dawson. Larry retired in 2012 and his son Bryan Dawson currently provides legal services for personal injury law. The firm provides legal services for various cases such as auto accidents and claims, bicycle crashes, wrongful death, defective products, medical malpractice, and boating accidents. DuBois Law Group LLC is a Portland personal injury law firm founded by Super Lawyer Sean DuBois. The firm has a dedicated litigation department as well as a medical department. The medical department provides clients with assistance with insurance companies and finding medical records. The firm also aids clients in finding medical specialists such as chiropractors and orthopedic surgeons. D’Amore Law Group is a Portland law firm focusing its practice on personal injury law. The firm was founded in 1994 and has represented clients in Oregon, Washington, and California. D’Amore Law Group’s practice includes legal representation for personal injury, motor vehicle deaths, wrongful death, nursing home abuse, sexual abuse and assault, medical negligence, and more. The firm frequently collaborates and associates with other law firms and solo practitioners in the legal community. Johnston Law Firm, LLC is a Portland law firm founded by attorney Marc Johnston in 2009. Marc focuses his legal practice on personal injury law in cases involving car accidents, insurance denials and claims, medical negligence, and pedestrian and crosswalk injuries, as well as services in trials and civil litigation. Kahn & Kahn, P.C. is a Portland law firm founded in 1982 that provides legal representation for personal injury cases. The firm has over 75 years of combined legal experience and provides legal services for a wide range of personal injury law cases including motor vehicle accidents, animal attacks and dog bites, boating accidents, construction accidents, and wrongful death. Kaplan Law, LLC is a Portland law firm founded by attorney Matthew D. Kaplan in 2003. Matthew focuses his practice on various aspects of personal injury law including auto accidents, injuries to children, motorcycle accidents, wrongful death claims, industrial accidents, and drunk driving accidents. He also has experience as a public defender and as a criminal defense attorney for a private law firm. Kline Law Offices is a Portland law firm that was founded in 2004 by attorney Robert Kline. Robert focuses his legal practice on personal injury law and provides legal representation for cases such as car accidents, bicycle accidents, drunk driving accidents, truck accidents, tenant injury law, wrongful death, and sexual abuse. Robert’s clients speak highly of his supportive, reassuring, and genuine nature, as well as his communication skills and professionalism. Kroll & Johnson, P.C. is a Portland law firm that provides legal representation in personal injury law cases. The firm’s attorneys Edward Kroll and Justin Johnson focus their practice on litigating personal injury cases and seeking fair compensation for their clients. Kroll & Johnson, P.C. focuses its legal practice on personal injury cases such as wrongful death and medical malpractice as well as auto accidents and truck accidents. Jon Friedman is a Portland attorney who opened his own private practice in 1984. His law firm provides legal representation for a wide range of personal injury cases such as auto accidents, bicycle accidents, boating accidents, construction accidents, and product liability. The firm’s clients speak highly of the firm’s knowledge, honest and straightforward legal counsel, and professionalism. Timothy Grabe is a Portland attorney who has been practicing since 1983 and opened his private practice in 1988. His firm focuses its practice on personal injury law, with an emphasis on claims against drunk drivers and uninsured motorists, catastrophic injury claims, and workers’ compensation and third party claims. Mayor Law, LLC is a Portland law firm founded by attorney Travis Mayor in 2013. Travis began his legal career in 2003 and focuses his practice on personal injury law. He provides legal representation for cases such as accidents involving cars, trucks, motorcycles, bicycles, and pedestrians, as well as workplace accidents, defective products, medical negligence, and catastrophic injuries and wrongful death. His clients praise his professionalism handling of their cases as well as his dedication to his clients. NW Injury Law Center is a law firm that was founded by attorney Don Jacobs in 2002. The firm has two locations in Portland, Oregon and Vancouver, Washington. Don has over 30 years of legal experience in personal injury law. He focuses his legal practice on personal injury law cases such as car accidents, trucking accidents, motorcycle accidents, construction site accidents, wrongful death, and dog bites and animal attacks. Paulson Coletti is a Portland boutique law firm providing legal representation for personal injury cases in Oregon and Washington. The firm’s attorneys have over 70 years of combined legal experience and provides legal services for various personal injury law cases such as auto accidents, bicycle accidents, boating accidents, product liability, medical malpractice, trucking accidents, and workplace injuries. Rayburn Law Office is a Beaverton firm that has been serving clients for over 19 years. The firm's practice areas personal injury, employment law, and medical malpractice claims. Ralph F. Rayburn has an AV Preeminent rating by Martindale-Hubbell and is a Super Lawyer. He also has a Superb Avvo rating. Gregory K. Zeuthen is a Portland attorney who has focused his private practice on personal injury since 1984. His firm provides legal representation for various personal injury cases such as car accidents, wrongful death, negligence, medical malpractice, and product liability. The firm’s clients speak highly of the firm’s professionalism and extremely caring nature. Josh Lamborn is a Portland attorney who focuses his legal practice on personal injury law. He has represented clients who have been sexually assaulted or injured in auto, bicycle, TriMet, and other types of incidents. He also provides legal services for cases involving dog bites, drunk driving, nursing home and elder abuse, wrongful death, and product liability. White & Shepherd is a Portland law firm that was founded in 2011. The firm provides legal representation throughout Oregon and Washington and has offices in Seattle, Washington and Beaverton, Oregon. The firm focuses its practice on personal injury law and provides legal services for cases such as auto accidents and wrongful death. Keith Dozier is a Lake Oswego attorney and Oregon Super Lawyer who has provided legal services for personal injury law since 2001. He and his firm provide legal representation for cases such as auto accidents, semi-truck crashes, medical malpractice, products liability, job site injuries, and discrimination claims. Keith has extensive experience litigating personal injury and discrimination claims against large defendants such as multinational corporations and large insurance companies.